Portable room dividers and screens for walkways, barriers and warehouse screening. Create order out of chaos and use each screen to carry signage and safety information. 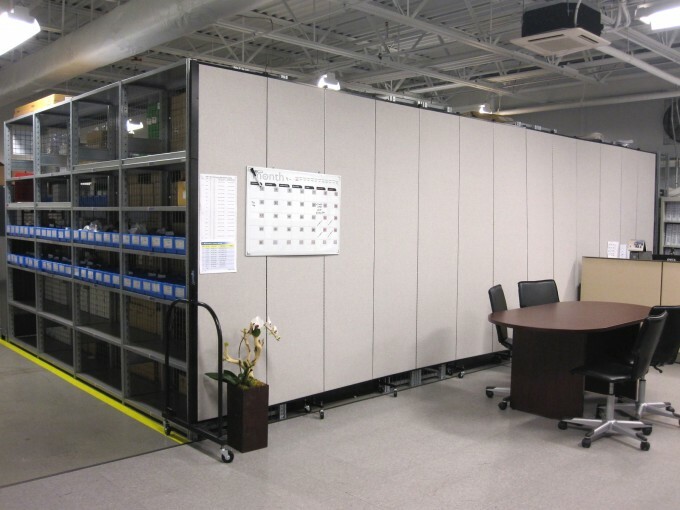 Industrial screen dividers are durable and heavy duty. They provide a functional solution for many companies and have been used in a secure area for luggage and passenger screening at an airport, crowd control at an event, or screening within a warehouse. Wherever the need for division, the partition screens can be rolled into place on self-leveling caster wheels to create a stable and sturdy wall. The need for security at airports is paramount, so having a highly portable lockable room divider allows officials to move these to where they are needed. The lockable corners make these dividers perfect for high traffic areas. Exceptionally durable and extremely versatile. Extra features and more robust construction ensure flawless operation making these the perfect for commercial use. Here are some examples of our customers who are currently using Screenflex. Create a safe and sturdy wall to secure an area from the public.